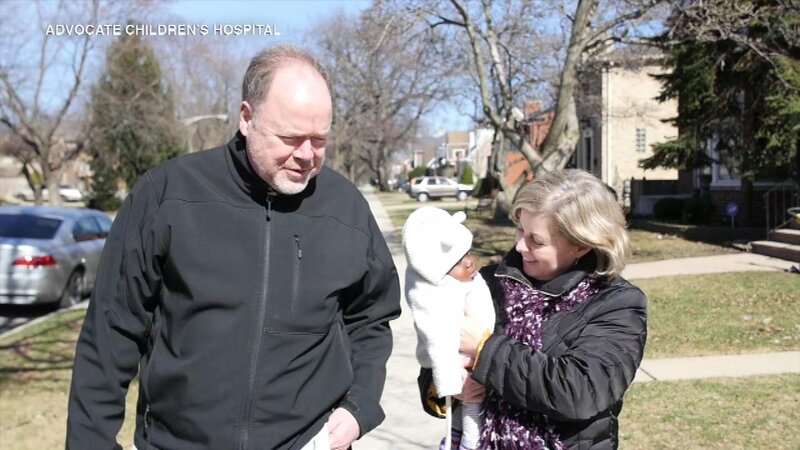 PARK RIDGE, Ill. (WLS) -- It took a mighty medical team and a family with a mighty heart to accomplish what seemed extremely difficult - making baby Dominique physically able to live a normal life. Snuggled comfortably in her host mother's arms, the beautiful 10-month-old girl with big brown eyes will now have a long future ahead. 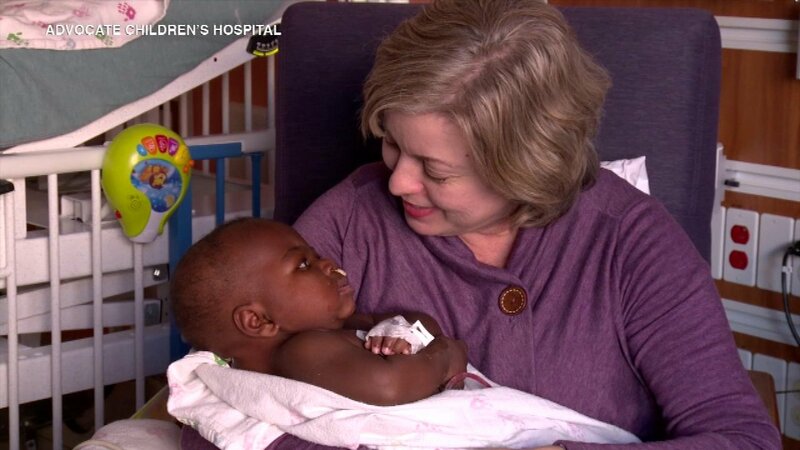 It took a mighty medical team and a family with a mighty heart to make baby Dominique physically able to live a normal life. 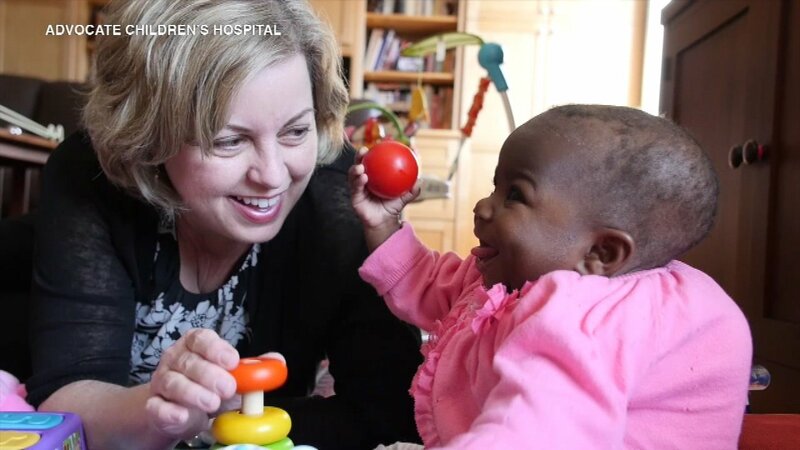 It all started with a team of 50 clinicians, including five surgeons, and a Chicago family willing to open their arms to care for a baby they never met before. "I was glad. 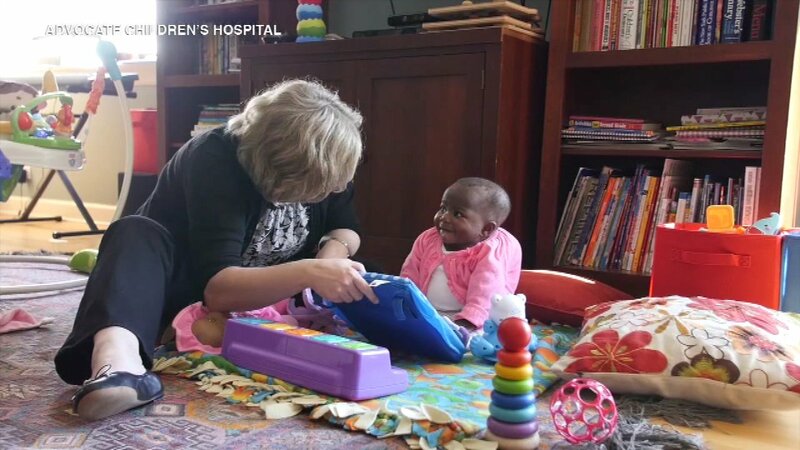 I knew soon after her arrival that she would have this life-changing surgery, that her parents trusted doctors they never met and a host family like us that they had never met, that all of us would help their daughter," said Nancy Swabb, Dominique's foster mother. 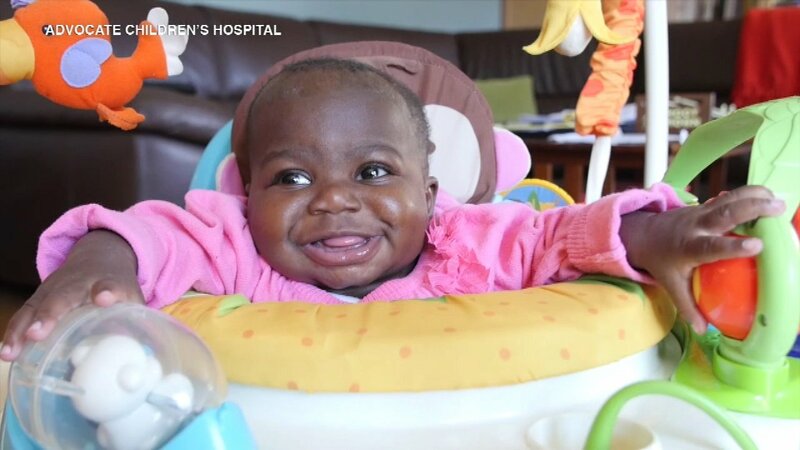 Dominique was born in the Ivory Coast in West Africa with a very rare condition. She had the remnants of her conjoined twin still attached to her. The bottom half of her not-fully-developed twin's body protruded from Dominique's neck and back, creating a large mass. 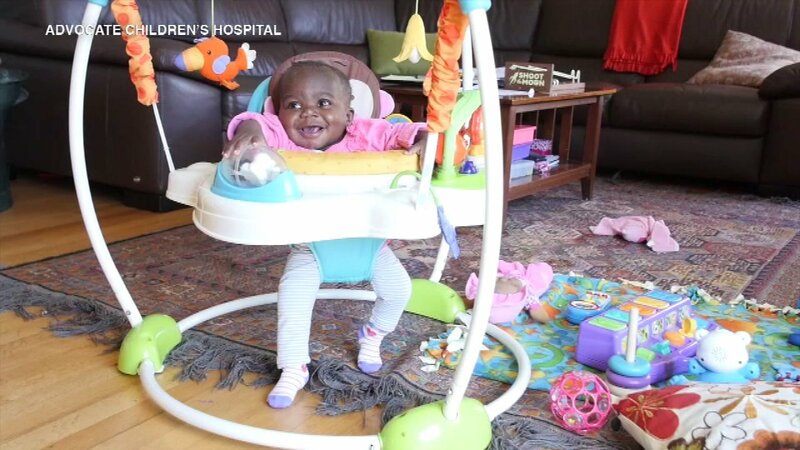 She couldn't do many of the things other babies could do, until now. "She wasn't able to do some of the things that normal little kids do, like turn over and sit up and all those types of things. 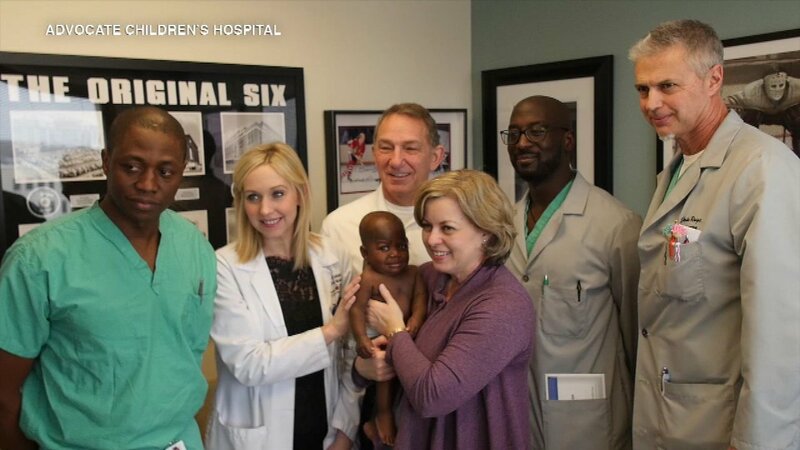 Now that we have removed her parasitic twin, she is a more normal girl," said Dr. Robert Givens Kellogg, a pediatric neurosurgeon. The surgery was complicated and risky, but it was a success. 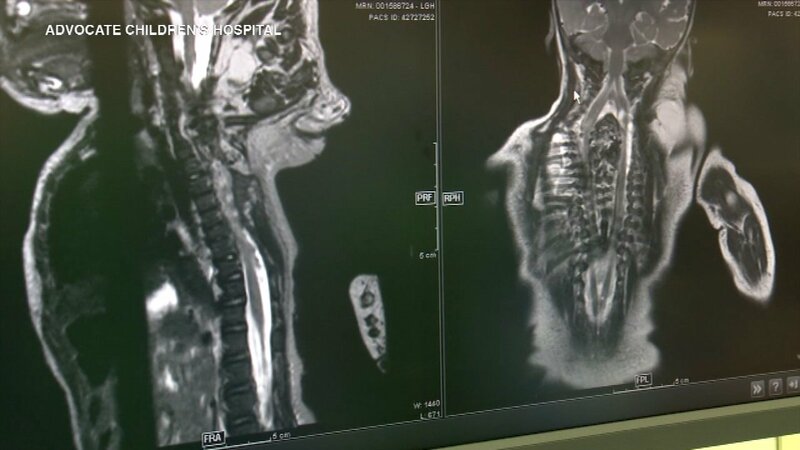 Surgeons removed the mass and reconstructed her back and spine. "The biggest concern is not adequately knowing what we were facing," said Dr. Frank Vicari, a pediatric plastic surgeon. Dominique was released from Advocate Children's Hospital in northwest suburban Park Ridge five days after her procedure, into the care of her foster family. They learned about Dominique on social media, through an organization called Children's Medical Mission West and knew instantly they wanted to help. "We are all in this together. If we can help another family, we're happy to do it," Swabb said. Dominque will go through rehab and will be sent back to her family in Africa next month. Her journey is something the Swabb family and team of medical staff is sure to remember forever. "I think she's touched a lot of lives and a lot of hearts," Swabb said.